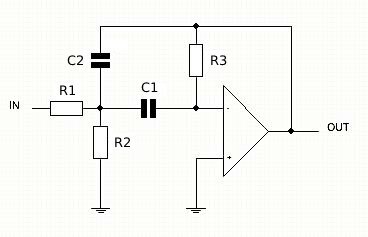 The Chebyshev filters are analog or digital filters having a steeper roll-off and more passband ripple (type I) or stopband ripple (type II) than Butterworth filters. Chebyshev filters have the property that they minimize the error between the idealized and the actual filter characteristic over the range of the filter, but with ripples in the passband. This type of filter is named in honor of Pafnuty Chebyshev because its mathematical characteristics are derived from Chebyshev polynomials. 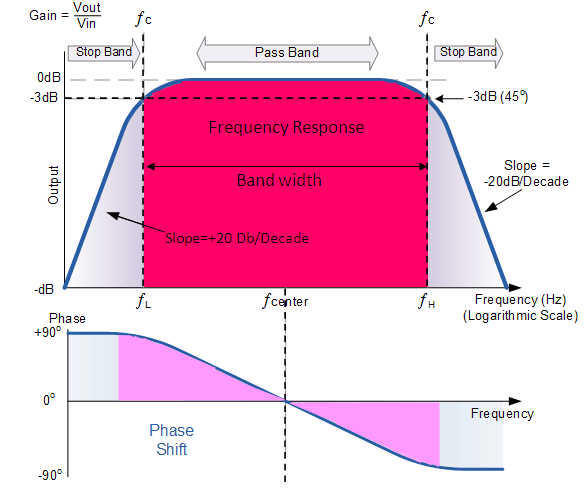 Because of the passband ripple inherent in Chebyshev filters, the ones that have a smoother response in the passband but a more irregular response in the stopband are preferred for some applications. In electronics and signal processing, a Bessel filter is a type of linear filter with a maximally flat group delay (maximally linear phase response). Bessel filters are often used in audio crossover systems. Analog Bessel filters are characterized by almost constant group delay across the entire passband, thus preserving the wave shape of filtered signals in the passband. The Q Factor is a measure of how "Selective" or "Un-selective" the band pass filter is towards a given spread of frequencies. The lower the value of the Q factor the wider is the bandwidth of the filter and consequently the higher the Q factor the narrower and more "selective" is the filter.